Are You Fascinating Enough to Be a Content Marketer? If you work closely with someone with bright pink hair, you might begin to question whether you are interesting enough to contribute your thoughts to the topic at hand. Followings on the internet are built on memorability, right? I mean, if you don’t give high-energy talks like Gary Vaynerchuk, dress on-brand like Mari Smith, or sport a high-voltage cranium like Michael Port, how will people know you exist? Not that I’ve ever had any of those thoughts. Is having an indelible personal brand a requirement for content marketing success? If you don’t have that, should you throw in the towel before you start? There’s a conversation I’ve had multiple times with some of the most well-known people online. People who — if you met them — might make you a little nervous. You might feel like you were in the presence of a celebrity! The internet gives us a place to build our own mini “kingdoms” of celebrity that we reign over. This process was much more difficult to do just 10-15 years ago. But now, we can gather our tribes, build our audiences, and develop our fan bases using strategic content marketing. It’s a valid approach to an online business. But it’s not the only one. Traditionally, brands were developed to depict a product, service, or a movement — not a person. In this more traditional approach to brand building, you identified a group you wanted to serve and you developed a brand they could connect to emotionally. The brand represented a series of experiences that would be delivered by interacting with the business. This approach to brand building has some distinct advantages and some challenges. When you carefully develop your brand name from scratch, you can easily associate it with the benefits you’ll deliver. Proper names don’t say anything about your business offering, so you’ll need to spend more time and money establishing what the business is about when you base it on a proper name. If your long-term plan is to build a business you sell, it’s easier to sell a business that’s not associated with a proper name. When your business is built around your proper name, all you have to do is show up and the human face of your business shines through. Not so with a more traditional brand. So you built a brand based on your own name. Need a vacation? Want to take a break? The show cannot go on without you. No pressure, but … it’s all riding on you. Can you build a brand that’s the best of both worlds? Yes, you can. And this is where content marketing comes in. If you decide to avoid the sticky challenges that come with building a brand around your name, you can go the traditional route and build a brand around what you’ll deliver to your customers. These brands state exactly what they deliver in their names. And they back that up with consistent, high-quality content marketing that delivers on the promises made by the brand names and taglines. That’s the way to have the best of both worlds: create a brand name based on a promised experience, then use content to deliver your promise today, tomorrow, and next year. How to 10x your fascination quotient in one easy step! You may not have vibrant pink hair on the top of your head. And you may not be beautifully bald, either. Those qualities help your audience pick you out in a crowded room. But online, you know what really stands out? Content that’s in tune with what an audience needs. Content that consistently serves the people who read it. Content that delivers time after time. 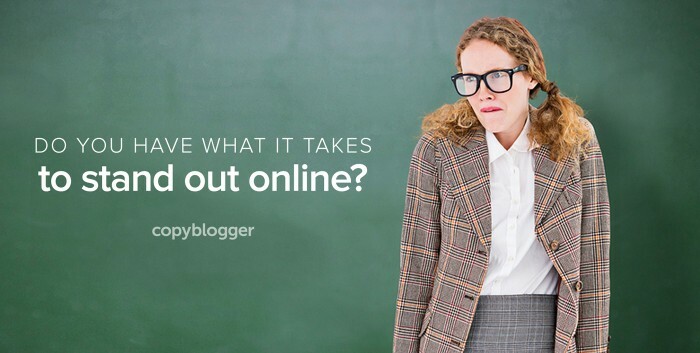 Feeling like you’re not quite fascinating enough to make it as a content marketer? Find a way to be of service. Create useful, engaging, high-quality content. Go above and beyond to stand out from the crowd with your in-depth, helpful information. That’s the brand of fascinating we need more of online. PS: I just finished writing a book called Master Content Marketing: A Simple Strategy to Cure the Blank Page Blues and Attract a Profitable Audience. It will be released next month. Until then, I’m going to share excerpts and ideas from the book so you can start benefiting from it now. Watch this space. 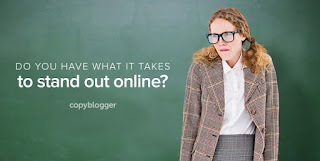 #DIGITAL: Are You Fascinating Enough to Be a Content Marketer?